From ancient Mayan ruins to colorful colonial towns and natural splendor, Guatemala offers something for every type of tourist. Here's how to spend a week in the Central American country, starting in charming Antigua and ending at Tikal National Park. Day One: Before you get to Guatemala try to find a flight that lands early in the morning and arrange your transportation from Guatemala City to Antigua so it is already there when you land. This will allow you to get set up in your hotel before noon. Once you are all set up, go out to explore. Get your map, put on your comfy shoes and go for a walk. You will find tons of restaurants as you explore this tiny city. Keep walking until you find one that catches your interest. Relax for lunch and keep exploring Antigua, see the artisans markets, jade stores, church ruins, and museums. But most importantly, spend some time sipping on a cup of local coffee in one of its parks. Day Two: Now that you know Antigua it is time for some fun in its surroundings. Go for a canopy tour, explore the only winery in Central America, experience a coffee tour or play some golf at La Reunion. Day Three: Take a tour to the active Pacaya Volcano, a place where you can walk in the middle of lava flows. Then try to go to bed early. Day four is packed with adventure. 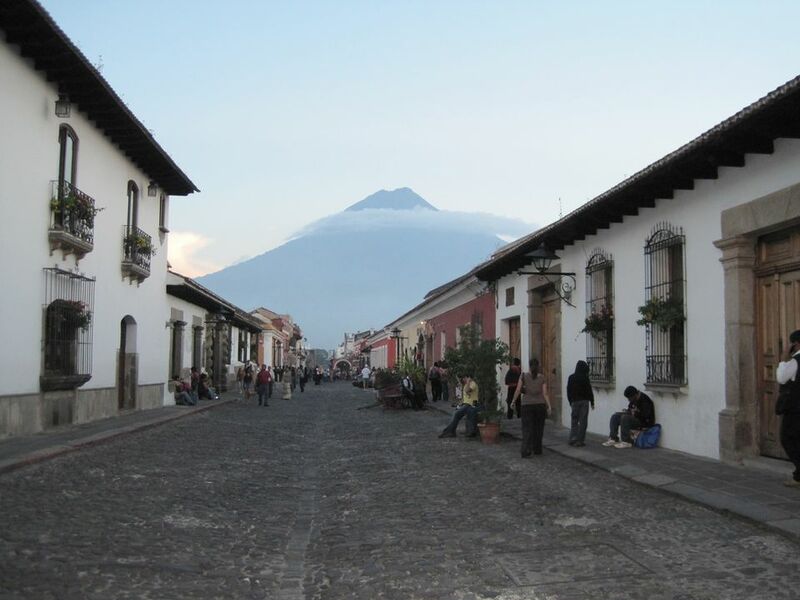 Day Four: Arrange an early pickup to head over to Atitlan, but before you get there you should take a couple of detours. First is Iximche, an archaeological site that used to be a Mayan city that was once burned to the ground by the Spaniards and turned into the first capital city of Central America. Then stop for a hearty, traditional meal in Tecpan. The next detour is to Chichicastenango, a small indigenous town with the largest market in the country where produce, handcrafts, animals and everything you can think of is sold. Then continue your way to Atitlan, once you get there, get and if you still have the energy experience the local nightlife. Day Five: Go out to the docks early in the morning, take a boat tour on the lake (this has to be done in the morning because the afternoon winds make it extremely dangerous), explore the surrounding towns and if you are feeling adventurous go on a kayaking tour or climb on the cliffs that surround the lake. Again, go to bed early. Day Six: Take an early ride to Guatemala City, the earlier the better. Take a short flight to Peten and go straight to the Tikal National Park. This is one of the largest Mayan archaeological sites that have ever been found. As you walk along the trails you will find tons of ancient temples and other structures, as well as local animals. Keep in mind that this will take a lot of time if you take the whole tour. The weather is extremely hot and humid so don’t forget your sunscreen, bug repellent and tons of water. Go to your hotel in Flores and rest. Day Seven: Spend the morning exploring the tiny, cute and colorful town of Flores, go for a swim in the lake and enjoy lunch in one of its local restaurants before you head back to the airport. This is an international airport so you can leave the country from here instead of going back to Guatemala City.